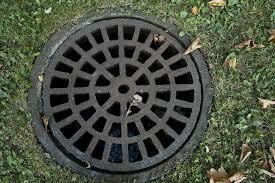 The easiest way to know if you have a blocked drain is checking visually. Is there a drain blocked in your toilet, shower, bath or sink? Are they draining slower than usual? If a blockage is particularly bad water may not drain all the way or drain at all. If this is likely then the blockage is likely in the fixture itself. If all these water systems are backed up, then the problem lies in the sewer drain. The toilet is often the main driver for a blockage in your home. If you flush your toilet and it only causes the water to rise, then you’ve got a blocked drain. 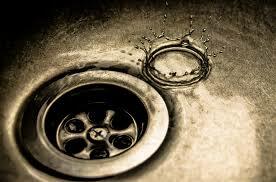 The most unpleasant smells are a big giveaway to a blocked drain. Foul smells are bad for your home and can really stink your bathroom. If something has blocked the drain and begun to rot, you will know about it. The smell may first appear before any visual symptoms emerge. If you catch a bad breath of foul smell, then don’t ignore it because it could tend to stink your whole apartment. Call a plumber. Another good way you know you have a blocked drain is by hearing. If the pipes and fixtures sound different than usual, it could be an indication to a blocked drain. Gurgling noises from drains, shower floors, toilet flushes, and pipes are early warnings. This sound is created in a certain way, it’s when air is trapped in the pipes in the pipes by the blockage is displaced and pushed up through the system. Any one of these symptoms on their own is cause for concern. If you start to notice two or three then it’s blocked from the sewer and you might as well call a plumber for an emergency. The best indicator for a blocked drain is overflow. When you flush your toilet and you don’t know when to stop it starts to overflow. The cause for the toilet to overflow is if it’s clogged in the bowl. A clog further down in the s-hasped or drain pipe can back up. If it keeps overflowing shut off the supply line to stop the flow of water if the toilet starts overflowing again. If this keeps overflowing, the problem is likely a backup from either a drain pipe or the main sewer line. Also, a good sign your pipes are probably a little backed up is the slow draining of water from your bathroom sinks, toilets, bathtubs and bathroom showers. Bath and toilet water should create a whirlpool motion above the drain to indicate it is flowing efficiently, whereas showers should only take a second or two to empty once you’ve turned off the water. Sink water should drain steadily and quickly, with no back wash. If any of these take longer than usually to drain, it’s a sign that debris or other minerals is blocking the way. You can attempt to unblock the drain yourself if any of the following above occur it’s always best to call a professional plumber.